Since I moved to the UK, having tofu has become a luxury treat because tofu is only available from the Chinese food market, not only the options are limited, the price is rather expensive too. 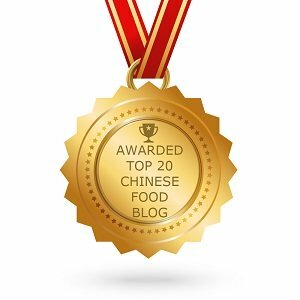 Back to China, we have so many different types of tofu (or soybean products) that no wonder my friends from the Western countries get confused. What are the differences between A and B? Are they ready to eat? 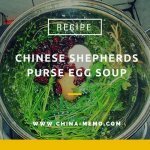 How do you eat or cook them? I fully understand why, as the translation sometime does confuse things. 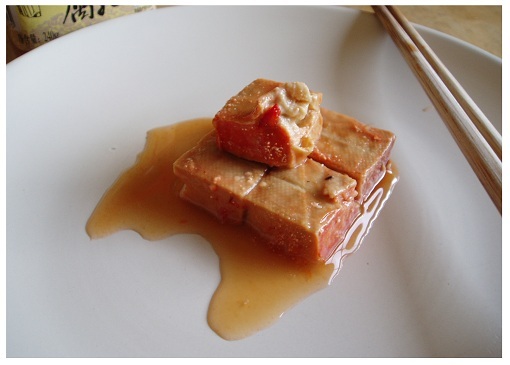 Most types of tofu are just translated as tofu or bean curd in English. 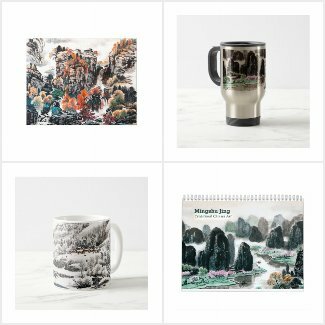 Hopefully with the pictures here, I can explain these bit better. 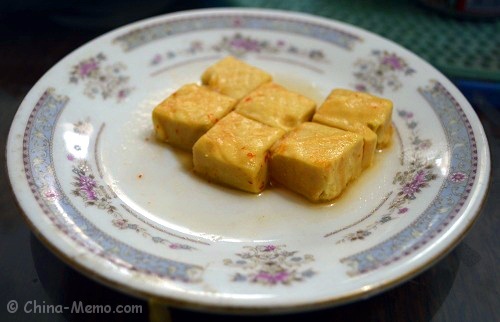 I am trying to give some examples about the tofu we usually have in China and how we eat them. I don’t know whether there is a good way to categorize them, but try this anyway. The soft types of tofu are usually seen in the breakfast or soup. Before talking about the soft type, maybe I should mention the soy milk （豆浆）, which is very popular for breakfast, particularly in the north of China. The best place to have the freshly made soy milk is in the local morning food market, at the food stalls or small breakfast restaurants. Locals usually like to serve soy milk with sugar, together with the fried dough sticks or steamed buns. The texture looks bit like custard but it does not have the thickness (or stickiness?) of custard. Actually it is very light, can be easily broken into pieces once you stir it. Some people like to serve it with sugar, but back to my home, following the Sichuan tradition, we prefer to add the chilli bean paste, bit salty and spicy. This is how it looks with chilli paste oil on top. Usually seen in the breakfast. 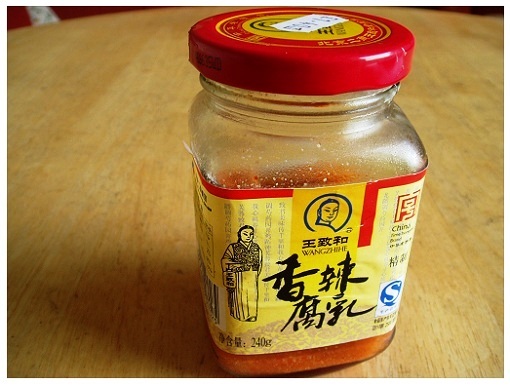 It is salty due to it needs to be preserved long time while fermented. The most common flavour is the chilli bean curd. 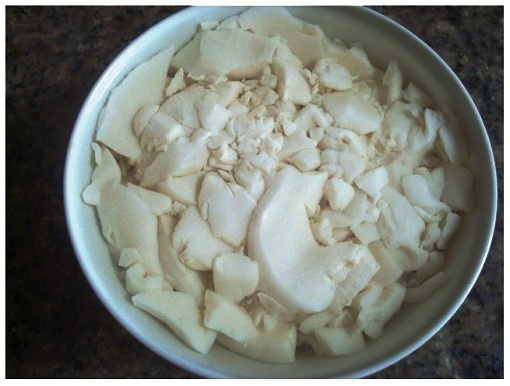 The fermented bean curd is usually sold in a glass jar. The liquid is salty and can be spicy depending on the flavour. Sometimes my parents also use the liquid as cooking ingredient as well. The bean curd preserved within the jar is soft, usually served with the rice congee and steam buns. Similar like the spread used for bread, we use chopstick to spread it on top of buns. 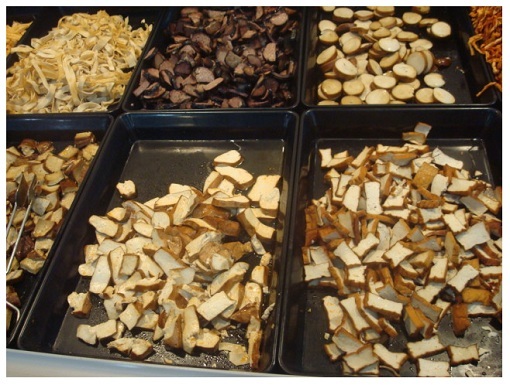 For more types of tofu in the next post, Types of Tofu (2). 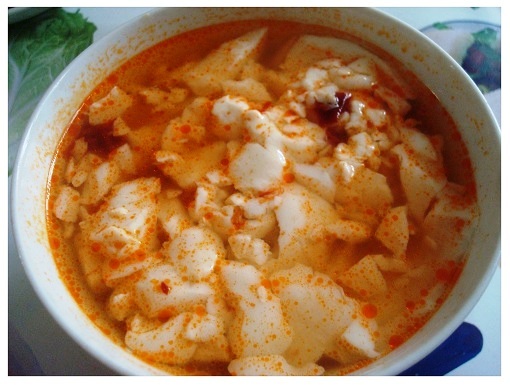 You may also like to see other Chinese daily food such as Chinese breakfast, or check Chinese Festival food.